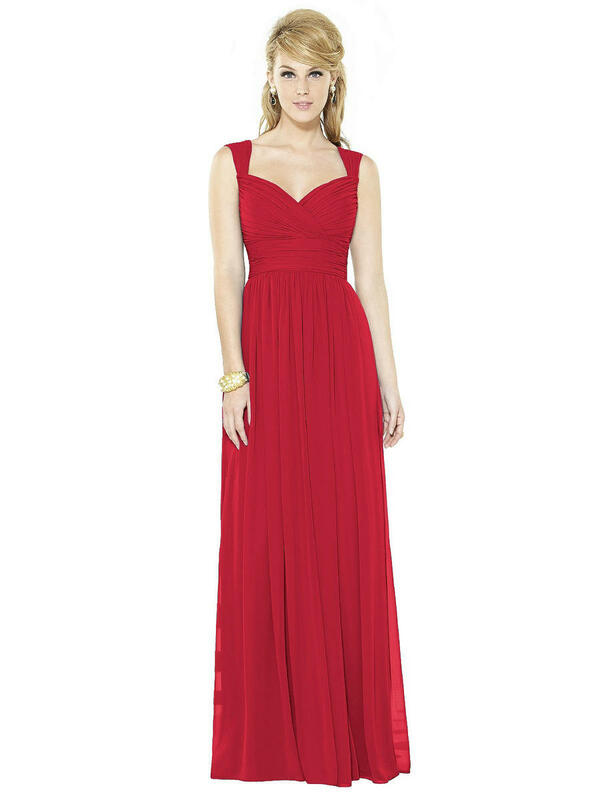 Full length lux chiffon dress with sweetheart neckline and pleated straps, bodice and inset midriff. Shirred skirt with side front slit. Sizes 00-30W or 00-30W extra length.